BUY NOW! Available from Amazon or YPDBooks.co.uk. Just £9.99. More Love To Give is my memoir of our journey through four rounds of IVF treatment in a quest to fulfil a desperate desire to have and love a second child. Trying for a second baby posed different challenges to trying for a first with the confusing emotions of frustration, shame and feeling greedy when we knew we were lucky to have one child. Secondary Infertility is hugely common, yet rarely understood or spoken about. You feel isolated and distant from the fertile, baby world that you long to be part of and yet you are cast aside from the Infertility community, who see you as already being lucky. Sometimes sad, sometimes funny, this is my frank and honest account exploring the physical, mental and emotional challenges we faced going through IVF when we were fortunate to have a child but felt we still had more love to give. First baby arrived in the world with no effort at all. Five years of trying (including three rounds of IVF) and I still haven’t been able to have a second baby. Pure torture. Don’t think I’ll ever come to terms with my fate. I am currently on my second round of Ivf, hoping to achieve a pregnancy. I would be interested in buying your book. Comment: What can I say! So so true! We have three beautiful boys but unfortunately from eight pregnancies. I had my first son as normal, then three ectopics (one of which burst and emergency surgery) and two early miscarriages. 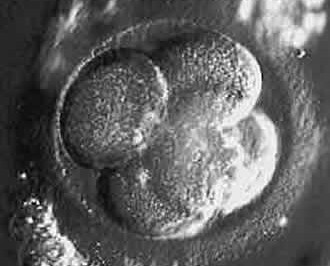 My ivf consultant told me to try just one more time naturally as I could conceive, I had to leave before I punched him! I had my first child in 1990, unplanned and in my final year at uni it was a shock to say the least but a very loved baby then at 34 in 2002 had my second – a very planned baby, when he was around 5 years old my husband FINALLY agreed we could have another but that much wanted pregnancy never happened. I tried clomid but as we had 3 children between us we agreed IVF wasn’t for us. I get my baby fix at work but will always miss my much wanted 3rd baby. No matter whether you have one child or ten that longing for a baby never goes away. Look forward to reading your book.